In 1972, a woman named Shirley Collins took the initiative of launching the retail company Sur La Table in Seattle. Collins oversaw the opening of the inaugural retail location in the downtown area. It was during the late 1980s that Sur La Table would go on to spearhead its first mail-order catalog. Collins eventually sold Sur La Table in 1995 which was also when the company launched its second retail location, this time located in Berkeley, California. 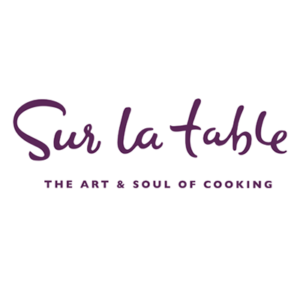 I took another four years before Sur La Table established itself online and launched its official website. By the early 2000s, Sur La Table was riding high on its success, boasting more than twenty stores across the United States. In 2005, the company finally set its sights on the Big Apple and opened its first New York store in the fashionable SoHo neighborhood. White Plains had the honor of being the location of the 100th Sur La Table store when it opened in 2012. Sur La Table recently celebrated 45 years of success. Today, it holds the second position in terms of the largest specialty cookware retailers in the country. This update is by the Robert V. Glaser Business website. Glaser is an industry veteran with decades of experience in banking, private equity, and more. His experience includes his many years working for global manager of alternative investment products Investcorp and he also dedicates his time to various charitable causes including YoungArts Foundation, Chapman Partnership, and more. You can learn more about Robert by visiting the Robert V. Glaserpersonal website or Robert V. Glaser Giving website.